Today's recipe for Bake-A-Thon is a simple,eggless,mouth melting almond cookies.This cookie dough is a basic cookie dough recipe with almond flour,studded with almonds.The cookies turned out so crunchy and mouth meting and my kids loved it.The original recipe,I noted it from Land-O-Lakes and slightly tweaked it.Also it has an egg wash but I just skipped it as I want an eggless version. Soak the almonds in hot water for 15 minutes and remove the skin a keep it aside.Mix in all purpose flour,milk powder,baking powder and salt in a bowl and keep it aside. In a bowl take the butter and powdered sugar.Cream it well,to this add the all purpose flour mixture,mix it well.If the dough is too crumbly then add some milk and knead it to a smooth dough. Take a big gooseberry size of dough and roll in to smooth ball and keep it on a lined baking tray.Continue for the rest of the dough.Now gently flatten the dough ball and press in the blanched almond in each cookies dough.Refrigerate it for 10-15 minutes.Now pre-heat the oven at 350 F and bake it for 15 minutes or till the cookies turned golden and crunchy.Remove it and cool it on a cooling rack. The cookies will be crispy once its completely cool down.Do not bake it more than 15 minutes. If salted butter is used then no need of extra salt. Here I used the store bought almond powder. Not a fan of cookies , I don’t mind almond cookies , they are rich and taste fantastic . Nut powders in cookies give amazing results. You have made the cookies beautiful Nalini. The cookies sound so flavorful. They are shaped perfectly with the almond as garnish. so many cookie recipes already on Day 2 of bakeathon! and this one goes directly to my bookmark , Nalini.... wonderful tinge of golden around the edges.. Dangerously delicious and fabulous cookies there. Super prefect cookies Nalini. You have nailed them beautifully. 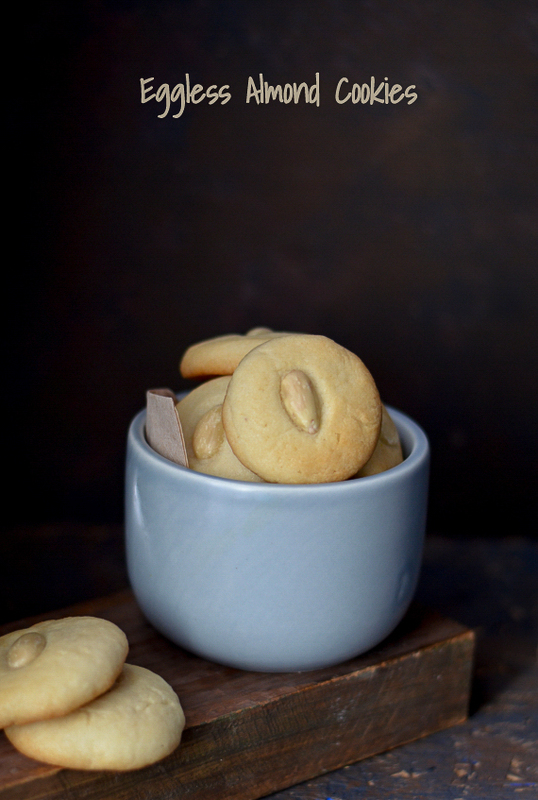 A cup of adrakwali Chai is perfect to go with these perfectly baked cookies. These look so delicious!! 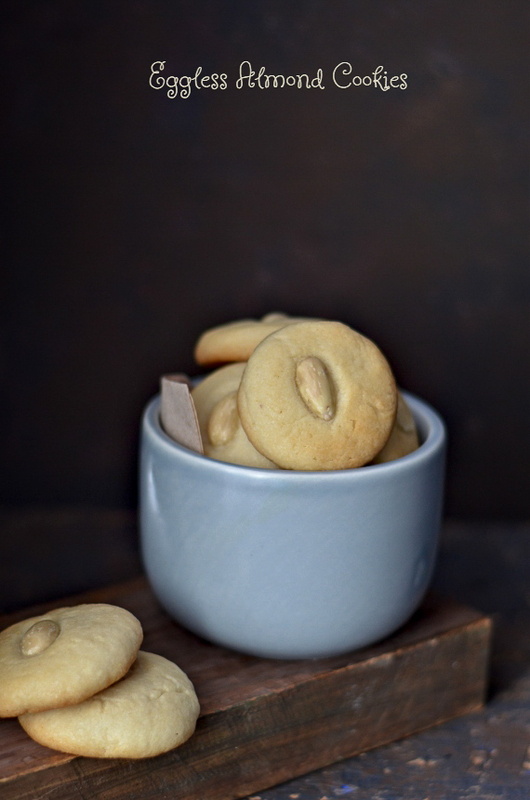 Such a simple and cute looking almond cookies. Love the almond decoration on the cookie itself. The cookies are baked to perfect colour and the texture looks so inviting, fantastic ones to enjoy for an evening snack Nalini. cute looking cookies nalini, love the perfect color and that blanched almond in the center looks fab!!! Sucha simple and perfectly baked cookie, loved the texture and your pics!! 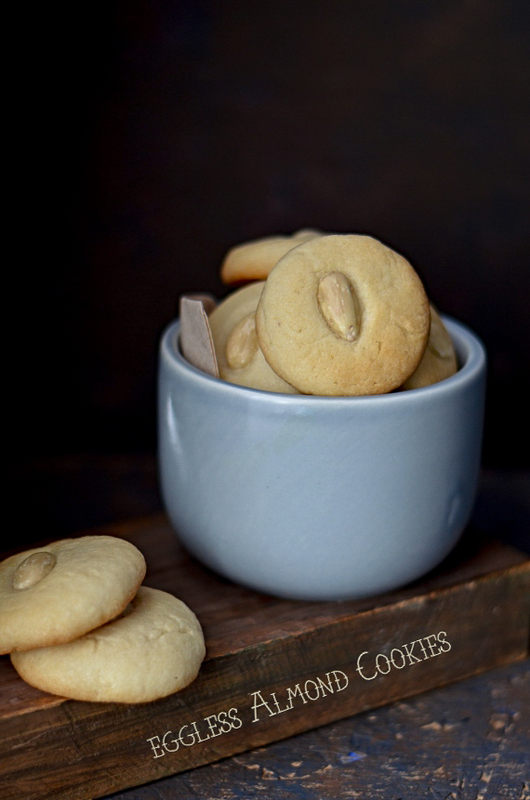 Loved this cookies.. looks yumm and beautiful capture..
Almond cookies look so cute and perfect. Beautiful presented. 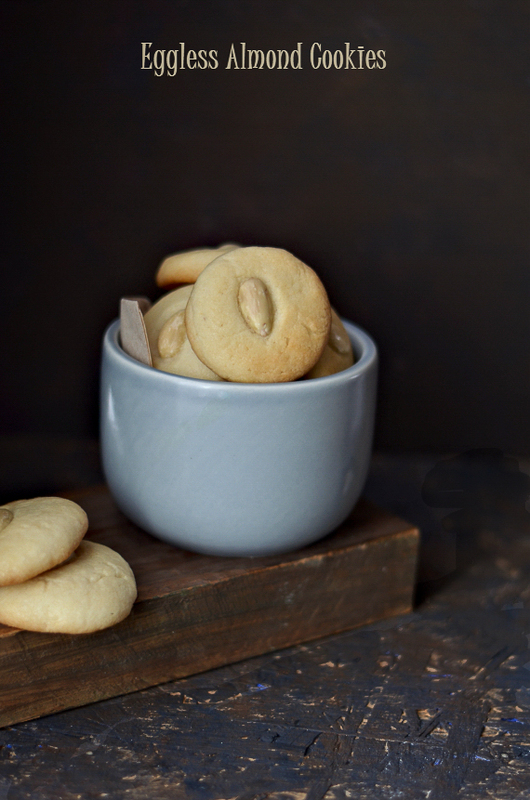 The almond cookies look very addictive and thanks for the detail explanation and tips at the end. They are looking so delicious. With a spice chia, this is just perfect. Simple and cute looking cookies, so perfectly shaped. Wow! Fully agree with Mir they are great on a holiday platter. So beautifully done. I too made another version of this and adding almond flour does make it extra yum!